Admission: $10/day or $15/both days; Free for children under six. 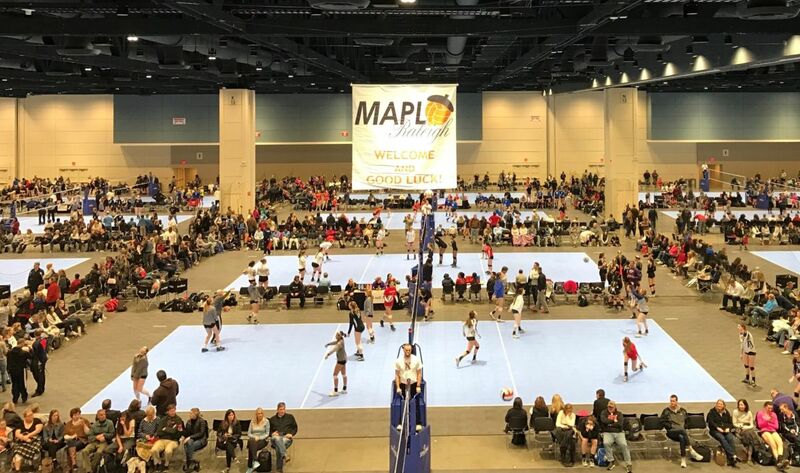 MAPL Raleigh returns March 2-3, 2019, hosted by the Triangle Volleyball Club. Two locations will be utilized: The Black and Blue divisions will play on 25 courts at the Raleigh Convention Center in exhibit halls A, B and C. The red division will play on 4-6 courts at Triangle Volleyball Club (new location) in Morrisville (121 Competition Center Drive).